'Music Is Anything': Jeff Tweedy Shares Stories From His New Memoir : World Cafe A chat with the Wilco frontman on complicated relationships with bandmates, his struggle to kick addiction and conversations with his wife on how much of his life to commit to paper. 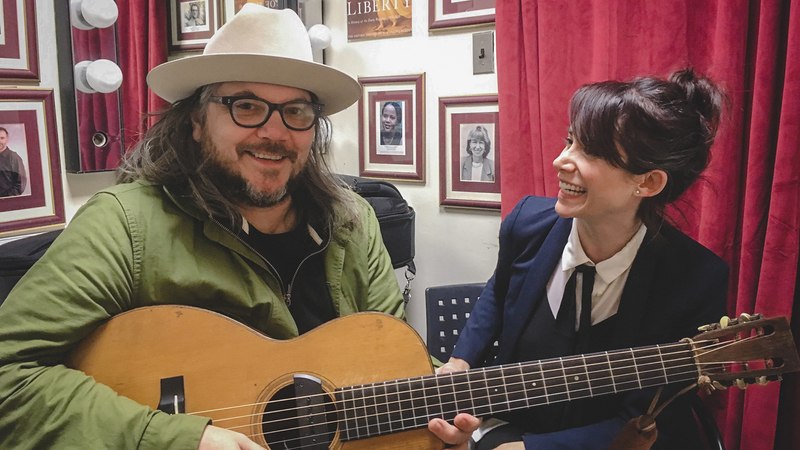 Jeff Tweedy (left) with World Cafe Host Talia Schlanger (right) at the Free Library of Philadelphia. Wilco, "I Can't Keep From Talking"
Vinton Wright, "2-8-2 #2599 Chicago Northwestern"
Jeff Tweedy and Jay Bennett, "Car's Can't Escape"